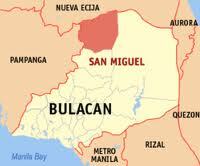 Want to find a nice accommodation and visit San Miguel resorts in Bulacan area? Our list will definitely take you to the largest choices for your summer outing whether you want to find a private or public pool reservation information. Different venues in Bulacan might also interest you if you are celebrating this summer for an occasion. It's absolutely a wide choice in here. You might want to go tripping in a farm resort, or have a team building or a birthday, debut, wedding, family reunion, company outing or even if it's just a simple barkada summer swimming trip. We have a list below that you can try to call and contact to ask for information on rates and entrance fees as well as see some photos and amenities of a resort you want to visit. Nice places near Metro Manila and just a couple of minutes or an hour at most to travel if you like or you may opt in for a faraway secluded hotel and resort to celebrate in unison and serenity. They're just a call away. See our list below or find other list of venues in Manila, Philippines. Clicking on a link of any listed resorts found in San Miguel, Bulacan province below will lead you to the specific details and information including the contact person and their respective business telephone numbers. If you are interested to find other options to stay and enjoy summer under the heat of the sun swimming in a nearby resort, please visit our page dedicated to Bulacan Resorts or you may also see our list of other Resorts found in other Philippines provinces if you want to travel a bit far and enjoy Pilipinas beaches. Apart from providing you and revealing our large list, we also have the official map where there is a list of San Miguel resorts so you have a guide and could easily reach the province either which if you have your own car or via commute. If you want to maximize and get the most our of your visit to the province of Bulacan, particularly in San Miguel, you should see to it to get to buy their popular delicacy - "kesong puti". This is where you can buy fresh finds of healthy dose of lacto bacilli beneficial bacteria through their white goat's cheese which happens to be very popular too in the streets of Sta Cruz Laguna. If you want to buy, you can search for the public market or ask around for Ms. Lani Buencamino, a friend we met in a bazaar in SM Mega Mall last Christmas 2014 where they have featured their local kesong puti sold in cheap prices.